We have a team of highly experienced automobile technicians with years of experience and specialized training for European import cars. Whether you drive a BMW, Mercedes-Benz, MiniCooper, Audi, Volkswagen, Porsche, Jaguar or Maserati, iAUTOHAUS in Arizona offers the right transmission services for your European vehicle. We are conveniently located in Tempe, AZ, and have been proudly serving the surrounding areas including Phoenix, Chandler, Gilbert and Queen Creek since 1997. Visit our service specials page to check out our latest repair coupons! 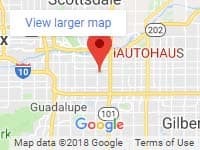 Schedule a transmission service in Arizona with iAUTOHAUS today! Any moving mechanism can develop problems, snags or malfunction. That is irrespective of the have manual or automatic transmission systems. iAUTOHAUS offers transmission service or repairs for European luxury vehicles. When it comes to transmission services, we cover the following carefully and extensively. Torque converter, modulator, Transfer cases and output shafts. Axles, Flywheels, seals, and gaskets. Gear slipping which reduces the efficiency drastically. Delay in engagement and over-revving. Transmission fluid level /leak check. The transmission is an essential part of any vehicle. 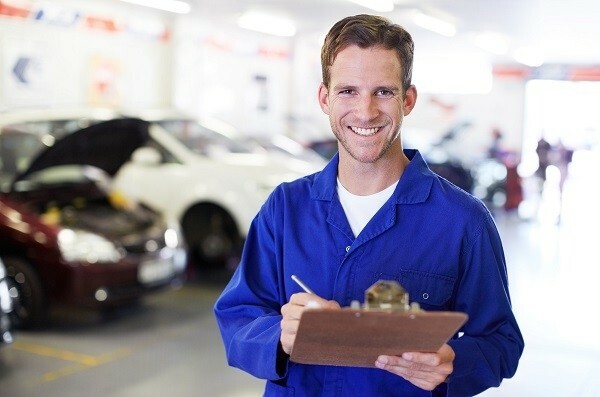 The mechanics at our BOSCH Authorized Service Center have the high-tech equipment and knowledge to diagnose, repair, or replace your vehicle’s transmission. By choosing a BOSCH Authorized Service Center, you are choosing a shop that keeps current with factory training programs and has the proper training and equipment to efficiently perform the necessary check-ups and repairs your European import requires. This prevents ineffective diagnostic work that inevitably leads to higher repair costs and more time in the shop. Call 480-317-0777 or schedule your transmission service today!